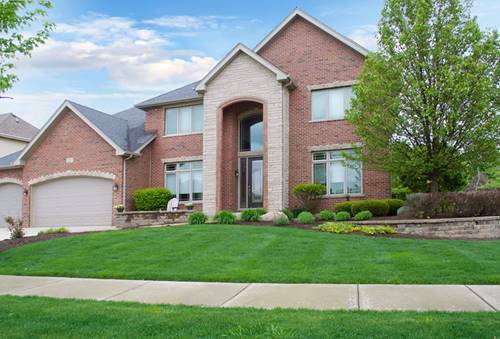 This beautiful custom two-story home is located in the award winning Frankfort 157-c school district. The spacious gourmet kitchen includes granite countertops. The impressive yet cozy family room includes a floor to ceiling fireplace! The stunning master suite features an enormous bedroom and an extravagant bath & bonus room! Main level also has a study, large bedroom, full bath and a formal dining room with a butler's pantry. This home also includes a heated three car garage! The stunning backyard has a paver brick patio and a fire pit. For more information about 22017 Mary, Frankfort, IL 60423 contact Urban Real Estate.